There’s no shortage of Linux operating systems available. However, many Linux distributions (distros) are niche OSes The Newest Linux Operating Systems for Every Niche The Newest Linux Operating Systems for Every Niche Linux operating systems are constantly updated, with some are more substantial than others. Not sure whether to upgrade? Check out these new Linux operating systems and to see if you should try them. Read More . For instance, Kali Linux 6 Ways Mr. Robot Is Putting Linux in the Public Eye 6 Ways Mr. Robot Is Putting Linux in the Public Eye Mr. Robot debuted in 2015 to critical acclaim. But did you know that there's quite a bit you can learn about Linux from watching Mr. Robot? Read More is an ethical hacking and penetration testing Linux distro. There are server Linux operating systems 12 Best Linux Server Operating Systems and Who Should Use Them 12 Best Linux Server Operating Systems and Who Should Use Them Building a server? Linux is ideal, typically offering enhanced permissions, increased flexibility, and stability. But which one should you choose? Check out the 12 best Linux server operating systems and who should use them. 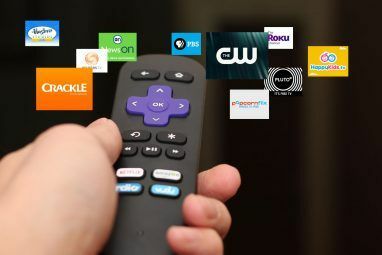 Read More , media center Linux distros 9 Awesome Linux Media Center Distros for Your HTPC 9 Awesome Linux Media Center Distros for Your HTPC Linux distributions offer a flexible, more versatile solution to creating an awesome HTPC than Windows. Looking to build a HTPC? There's a slew of fantastic Linux media center distros awaiting. Read More , and more. However, Qubes OS focuses on security. Its tagline reads: “A reasonably secure operating system.” On its homepage, Qubes OS boasts testimonials from the likes of Edward Snowden. With its onus on security, and superb compartmentalization, freedom, and integrated privacy features, Qubes OS is a functional and intuitive security-oriented Linux operating system. Although Qubes OS is a security-centric Linux operating system, let’s clarify how it’s different. 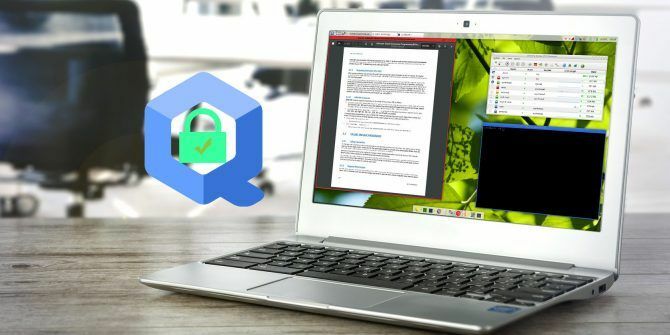 While a firewall and antivirus software are essential — yes, even Linux needs an antivirus — Qubes takes a different approach. Rather than relying on traditional protection measures, Qubes OS employs virtualization. Therefore it fosters security via isolation. The isolation method focuses on limiting software and hardware interactions. Notably, Linux pre-built laptop company Purism offers an option to ship its machines with Qubes OS. Purism machines rank among the best Linux laptops and desktops you can buy What Type of Linux Desktop or Laptop Should You Buy? What Type of Linux Desktop or Laptop Should You Buy? What kind of Linux desktop or laptop should you buy? Many powerful machines exist that come designed specifically with Linux in mind. We've covered all bases, ranging in price from $650 to $2,700! Read More . Like most Debian-based Linux operating systems, the Qubes OS initial installation is fairly simple. I tried Qubes OS on an AMD A-10 HP laptop. While lightweight Linux operating systems usually function better, I found little to no perceived performance issues on the HP. Installation is fairly simple. Download the ISO file, mount it to bootable media, and install on a hard drive. 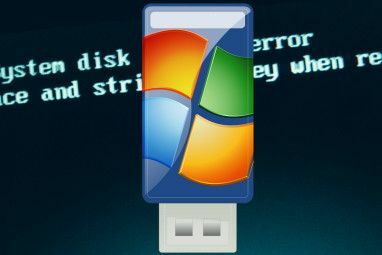 Installing virtual machine software (such as VirtualBox) might not function properly considering that all apps in Qubes OS run in virtual machines. Thus, you would create VM inception. Notably, the live USB option is not supported, though it’s still available as a download. Unlike most traditional Linux desktop operating systems, Qubes OS employs virtualization. Various virtual machines (VMs) separate and compartmentalize its environment. By default, there a few VMs available. You can create your own as well. Virtualization manifests on two fronts: software and hardware. Therefore hardware controllers are separated into domains such as USB controller domains. But software gets segmented into domains with varying trust levels. But unlike running an operating system within a virtual machine, Qubes uses virtualization to isolate applications. For instance, your web browser remains in a different environment than your file browser. That way if a vulnerability gets exploited and executes commands on your system, the attack is contained. Qubes OS uses Xen hypervisor for isolating different virtual machines. Still, there is an administrative domain, D0m0. This administrative domain features access to every piece of hardware. Moreover, Dom0 hosts such aspects as the graphical user interface (GUI) and peripherals like the keyboard and mouse. But since there is a GUI, applications appear as if they run on a single desktop. Rather, apps are isolated in virtual machines. Qubes OS employs the Application Viewer to lend an appearance that applications run on a native desktop. Instead, Qubes simply integrates applications into one desktop environment. Using Qubes OS may appear more complex than it is. That’s mostly due to its security through isolation set up. Nevertheless, running applications in virtual machines isn’t as difficult as it sounds. The simplicity of Qubes OS is remarkable. At first glance, Qubes appears like a standard desktop environment. In appearance, it’s no more complex than a Linux operating system like Ubuntu. For instance, you can view two different instances of the same web browser side by side, they can run on different security domains. One may be your work browser, whereas the other is your untrusted browser. Visit the same website in both browsers running side by side, log into one, and you won’t be logged in on the other browser. That’s because they’re in separate domains, on separate VMs. Even file browsers remain completely separate. But using Qubes OS doesn’t feel like using virtual machines. Because Qubes OS integrates all virtual machines into a single desktop environment, everything appears seamless. However, there are means to share between domains. For example, if you have a file saved in your personal domain, you can copy it to your work domain. Even the clipboard is domain separated. If you copy text in a text document on your work domain and click into a document on a personal domain, the text is relegated to the original domain. Still, as with files, you can use Ctrl + Shift + V to copy clipboard data between domains. Different colored borders differentiate your separate domains helping you easily identify applications. In addition to dedicated domains, you can create disposable domains. These differ from dedicated domains. Disposable domains are created for a single task, and once that’s complete they’re totally gone. If you open an instance of a web browser in a disposable VM, you can do whatever you want: bookmark sites, add them to your favorites, and save cookies. Once you close that browser, everything from that session is gone. Opening another web browser in that disposable VM will show nothing saved from your previous session. From any domain, there’s a right-click option to open a document in a disposable VM. Therefore, if you download a file in a work or personal domain, you can right-click and open that file in a disposable domain. Notably, this is an excellent means to avoid contaminating a domain. If you download a PDF from an untrusted source (not recommended), you can save it in your work domain and execute it in a disposable domain. Opening a terminal in an application domain, such as your work domain, downloads and installs software as usual. However, using a domain specific terminal limits that application to that domain. Moreover, installing an application within a specific domain doesn’t save. When you restart that domain, that program is absent. To install and save an application, you must install it in the template. This is a neat touch. For example, if you want to try an application, you can try it within a specific domain. Then a VM reboot clears that application. Appearance and performance are where Qubes OS really shines. Using an application, you would have almost no idea that you’re using an app in a domain. Pull up a work and personal web browser side by side and the only indication that they’re running in separate VMs is the colored border around each and label that says the domain name. I really appreciate the simplicity of Qubes OS. While it’s complex in its customization options, Qubes OS is very intuitive. Although both Qubes OS and Container Linux by CoreOS What Is Container Linux and Should You Use It? What Is Container Linux and Should You Use It? Containers are increasingly popular. Container Linux, formerly known as CoreOS, is a Linux operating system designed for simple containerized deployments. This overview and hands-on look at Container Linux will tell you more. Read More both concentrate on virtualization, Qubes remains more user-friendly. Because Container Linux is entirely command line-centric, it’s less suited to beginners. But since Qubes OS includes a GUI it’s simpler to navigate. In fact, Qubes OS doesn’t look or feel like anything aside from a standard desktop operating system. Okay, now the question you’re probably asking: why should you use Qubes OS? Can’t you achieve all of this virtualization using the likes of VirtualBox, VMware, and Parallels? Unfortunately, that approach is pretty cumbersome. To upgrade applications within those separate domains is pretty task-intensive. You would have to, for instance, update the web browser in each unique virtual machine. Enter Qubes OS. 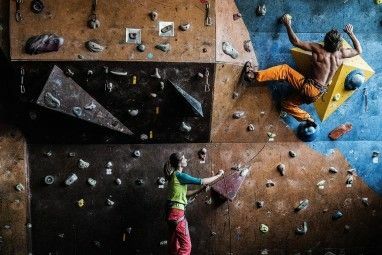 What makes Qubes OS fantastic for compartmentalization is its ability to spin up VMs and run applications within separate virtual machines in one desktop environment. But Qubes integrates everything into one desktop environment. Spinning up new VMs is incredibly manageable. Within domains, you can choose which applications appear in that domain, select various templates, and work with totally isolated environments in one desktop. Because Qubes OS is VM-centric, you’ll need a pretty beefy computer. While you may be able to run Qubes OS on less powerful hardware, it’s not recommended. Virtual machines remain hardware and resource intensive. Have you tried Qubes OS? Let us know your thoughts in the comments section! Explore more about: Computer Security, Linux, Virtualization. Nice post, but I've read various reviews and quite a few people seem to have issues with the installation process. You missed giving the specs needed in order to install it and get it running smoothly for an average user (such a company's CEO: who'd need to handle sensitive and non sensitive data). I went to their website and saw that part of the requirements are processors with VT-x and VT-d technologies. I have an i7, an i5 and and i3... all with VT-x and none (NONE) with VT-d! it also requires Legacy BIOS (not UEFI). So, even though I want to get to use it, I cant. I dont want to have to mess around with installation problems and having to figure out work-around stuff, only to end up with an unstable OS (I already have Windows for that!). So I would really be interested in knowing from people who installed it on machines without VT-d technology and who had no issues with installing or using it! Qubes is three steps ahead the state-of the-art. It is secure and also easy to use. people sometimes ask me should i open this email? but with qubes the answer would be "don't worry open any mail you want, you have disposableVM, if you see something bad like ransomware just click X to close and is gone"
How do you use your VPN? Does each domain have to sign in? Qubes has a class of VMs that act like routers. You can configure such a proxyVM to connect to a VPN, and then connect multiple appVMs to it. You can also run more than one VPN VM in parallel, or channel a VPN VM over a Tor VM (or vice-versa), etc. Qubes is considerably more secure than running Vbox or VMware on top of a regular OS. In fact, it was those V* products that were designed for convenience and not security-- Qubes did not invent integrated desktop VMs. A Qubes system is *only* a collection of VMs running on top of a bare-metal hypervisor (Xen) that is tiny compared to a Linux or Windows kernel. All the security features (network, graphics and copy/paste, etc.) hinge on this small, well-studied hypervisor. This architecture makes it possible to very effectively isolate everything in a system that is considered risky, from network and USB hardware to drivers and apps. Yes, Qubes isolates hardware and can protect against BadUSB and DMA attacks. This form of isolation even bestows extra protection to things like update procedures and crypto operations. So, Qubes is *not* a way to make virtual machines more desktop-friendly. Its a way to use VMs in a very security-focused way, in contrast to the convenience focus of other VM software.